For good dv/dt rating — AC & Pulse Metallised Polypropylene Film Capacitors (MPP / MPP Series). 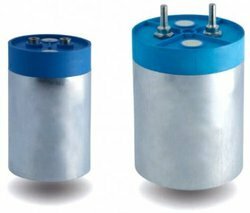 For very high dv/dt rating — AC & Pulse Metallised Polypropylene Film Capacitors (PP / MPP Series). Explore the range of high induction arduous and fluctuating load, linear load and nonlinear load capacitors. epoxy resin (or encased in flame retardant box).